Welcome to all there is to see and do in and around Great Basin National Park. Star Gaze - Half the park is after dark! Click on the poster above to visit Great Basin National Park's Astronomy page for a schedule of events for 2018. Join a Park Ranger for a virtual tour through features of Great Basin National Park by clicking on the Ranger above. Take a ride on the Ghost Train in Ely, Nevada. 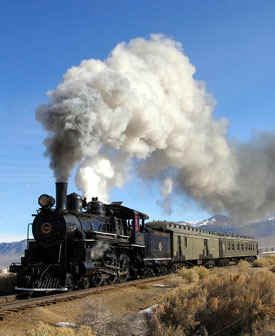 Click on the train to visit historic Nevada Northern Railway. Click on the Great Basin National Heritage logo to visit their website. 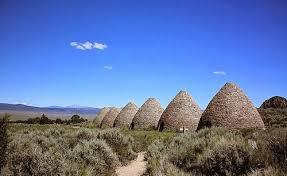 Visit Ward Charcoal Ovens State Park less than an hour's drive from Baker. Click on the ovens above for more information. CBS SUNDAY MORNING ON THE TRAIL: NIGHT SKIES OF GREAT BASIN NATIONAL PARK. Go underground - on a tour of Lehman Caves. 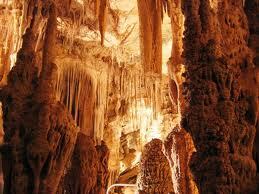 For information on guided tours of Lehman Caves, click on the photo above. 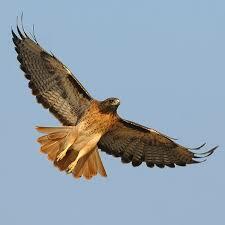 Bird Watching - For a list of Great Basin birds you might see on your visit to Great Basin National Park, click on the Red Tail Hawk. Go fishing! Click on the Rainbow Trout to visit Great Basin National Park's fishing information. Visit Fish Springs National Wildlife Refuge. Click on Fish Springs for more information. The most comprehensive "guide" to Great Basin National Park and surrounding area. Click on the book above for more information. Only have a few days to see Great Basin National Park? Click on the Park photo for suggested things to "see and do" in the Park if your stay is a short one. Take a hike! For hiking information in Great Basin National Park, just click on the Bristlecone pine. Enjoy Great Basin wildflowers! Click on the photo above for suggested hikes and drives to view Great Basin wildflowers. Take a self-guided tour of the Baker Archaeological Site. Click on the photo for more information. Are you a "rock hound"? Why not hunt for trilobites? 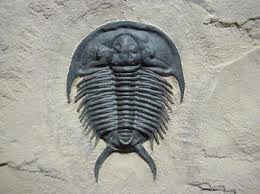 Click on the trilobite above for information.